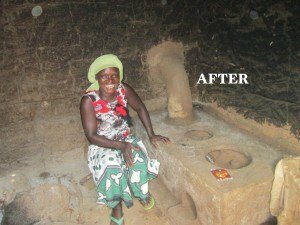 The Clean Cook stoves project was born out of a climate change mitigation initiative brought to Namanyonyi Cooperative in 2012. The initiative began by planting trees. However, the trees were quickly devastated by the cooperative’s highly inefficient cooking methods. The coop members knew that if they had more efficient ways to cook, they would lower their use of firewood. 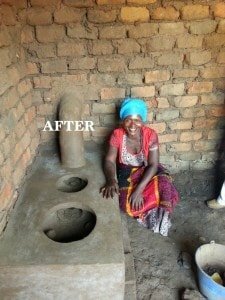 The clean cook stoves were the solution. 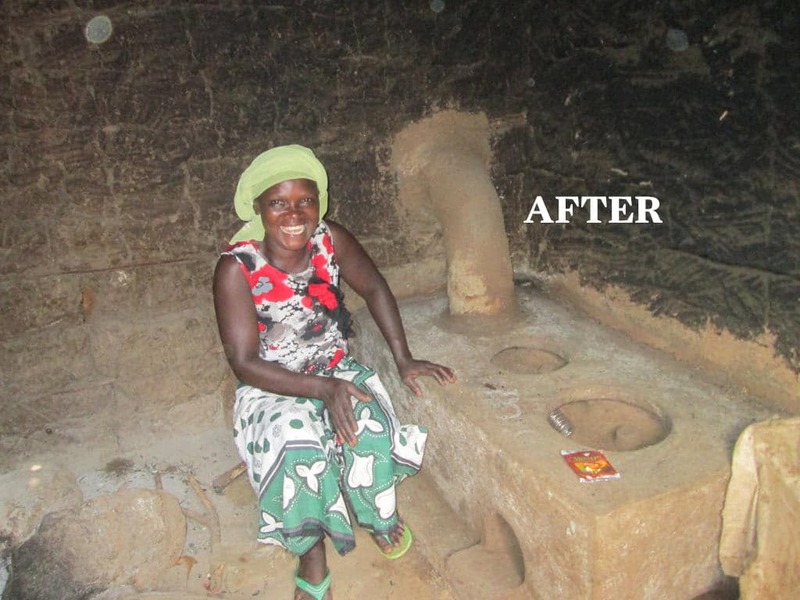 In the first phase of funding, we were able to provide clean cook stoves to the most disadvantaged cooperative members. The first 44 stoves were built for the elderly, families with children, and single-parent families. This was complete by December of 2014. The objective of phase I was to test the ability of the coop GM and staff to find local materials and train local craftsmen, creating ongoing jobs with a new Clean Cook Stove Trade or industry. Funds were generated by co-op board using their Fair Trade premium and by Thanksgiving Coffee Company’s sales rebate of $1.00/pkg. added to purchases by supporters of interfaith work. These stoves use 1/10 the fuel to produce a cooked meal, while the chimney directs smoke out of the kitchen, reducing the risks of respiratory disorders to all involved with the cooking. They also reduce the risk of fire, given that the homes are made of dry banana fiber and grass-thatched roofs. This also lowers the chances of children getting burnt or even dying. This project is designed to create a new indigenous industry. 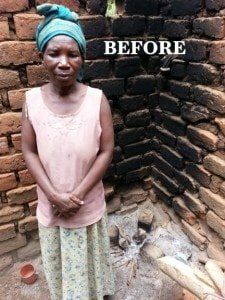 Over one million rural Ugandans use open fire kitchens in their highly flammable homes. Utilizing local materials and local craftsmen, this project will become a model for future funders. The Clean Cook Stoves are part Health Benefit, and part Climate change Mitigation, while also providing new employment opportunities. Scale will lower costs, increase the number of cook stoves builders, and form the basis of a new and healthier cultural norm. By purchasing Delicious Peace Coffee at Thanksgivingcoffee.com. Over the past decade we have built a large following of Churches, Mosques and Synagogues, plus hundreds of Delicious Peace Coffee buyers via our web store. We will fund this project with their help via coffee purchases of Delicious Peace Coffee. The Cooperative has dedicated the fair trade premium they receive from Thanksgiving Coffee to fund this this project, the project will be totally funded by rebates from the sales of the coops coffee at $.50 a package. Improving the quality of life for 140 Family Households of The Namanyonyi Coop, the local craftspeople that build them, and the communities’ future generations. The project is designed to complete one clean cook stove per day for 60 days, then begin preparation for the next 100 units.